School is back in session, and Dos Gringos is back on the hustle and bustle that is our fall season. Our travel-heavy schedules have eased a bit as we adopt an “All hands on deck” approach for this last quarter of the year. We’re welcoming several new Team Members – and ensuring they learn and embrace “the DG way” of getting things done -- as we plan and prepare for the heavy production that always arrives with school bells and cooler temperatures. 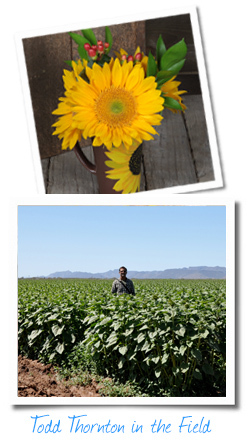 The beautiful, well-tended soil of several farms is giving us Sunflowers in all kinds of interesting, autumnal colors, but that’s just the beginning of our impressive selection. 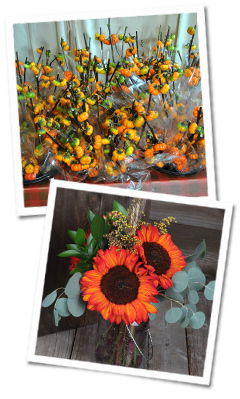 Protea, Marigolds, Pumpkin Tree, Broomcorn, and Silver Sage are filling the coolers at Dos Gringos, and the team is assembling stunning bouquets that you won’t want to miss. Now more than any other time of year, we stand apart from the crowd with selection and service. Thank you for all your efforts in getting this message – and our flowers – to consumers. Like many of you, we’re prepping for the Produce Marketing Association show in New Orleans in October. Marco Rivera and his team will put our best foot forward in Booth #736, and we look forward to catching up with you there. We’re hitting on a “California Dreaming/Born in the USA” theme, which is perfect for us as we tackle the localization aspect of the business. The closer we can get to our clients’ distribution centers, the better. Product freshness and quality improve, and we’re able to get items to you in the most economical way possible. I’m proud that we’re beginning our second growing season in Pennsylvania and our first in Wisconsin and Florida. Getting off the ground (or should I say “out of the ground?”) in different geographies has been a learning experience, to say the least. It’s hard to teach best practices and quality assurance standards that work across climates, but we’re committed to this , and we’ve had some significant wins. Mother Nature is a tough competitor, but we love a challenge. The wizard behind this work is our very own Master Grower Todd Thornton. We’ll feature Todd and some of his greatest insights in the next issue of The Dirt. From now through the end of 2013, expect more extended work shifts and top-notch service from our teams in San Diego and Miami as we expand production and shine, shine, shine! What can we do to make your job easier? 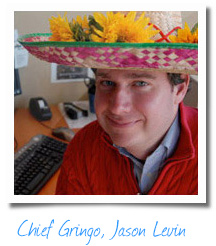 I hope you’ll let me know: jason.levin@dosgringos.net.